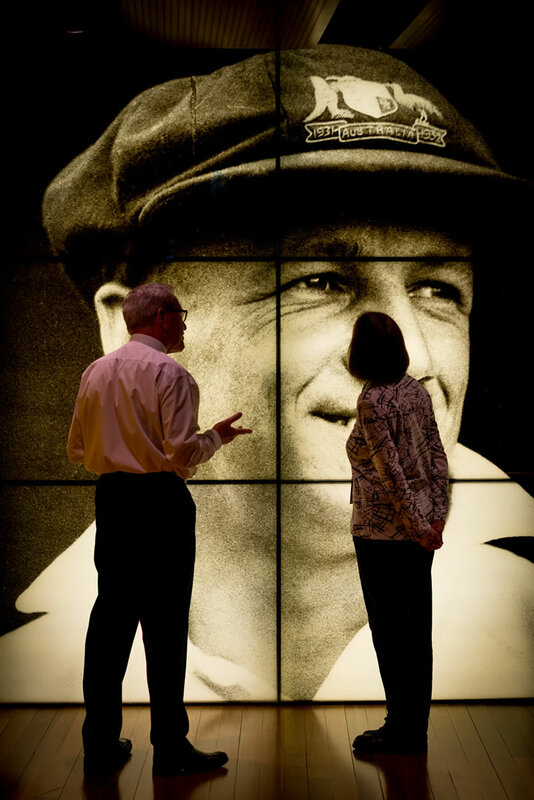 The Bradman Collection, on loan from the State Library of South Australia, is on display at Adelaide Oval in a purpose-built museum located in the Riverbank Stand. The collection brings together his priceless and personal collection of cricket memorabilia spanning from 1927 to 1977. It was originally Sir Donald’s wish that a home for the Bradman Collection may be found at Adelaide Oval, which came to fruition in 2008 on the centenary of his birth. The Bradman Collection is a world-class exhibition dedicated to an Australian legend and international hero who made Adelaide his home. Watch footage of Bradman in the theatrette, test your own skills with the interactive museum, and browse through personal items including cricket bats, balls, trophies, items of clothing and more. The collection is open Monday to Sunday from 9am to 4pm (excluding public holidays & event days) and is free for the public to view. The South Australian Cricket Association is now the custodian of the collection in conjunction with the Premier’s Department, State Library and the Bradman family. The State Library retains Bradman archival materials. For school visits, please visit our Education page for Primary and Middle Years learning activities centred around Sir Donald Bradman.